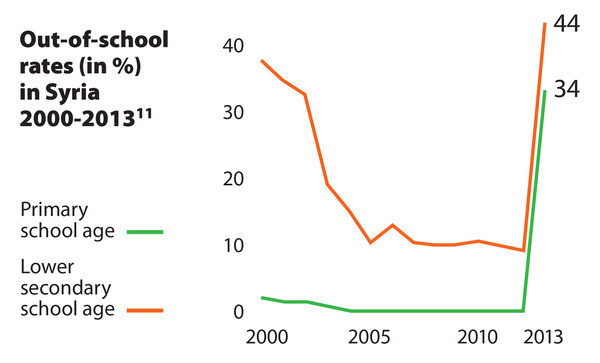 The number of out-of-school children has dropped by 30% since 2000. But gains are uneven across the world – and stalled five years ago. An increase in students has put a strain on resources. 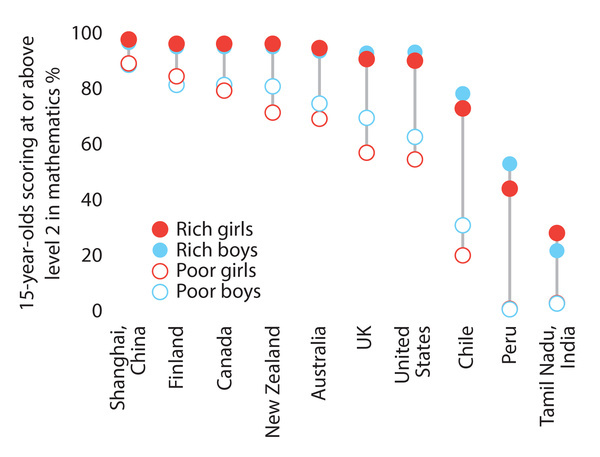 Achievement varies by wealth and class within countries. The total number of students going on to university or accessing vocational training has doubled since 2000. Women are closing the gap, but poor students, ethnic and indigenous minorities lag behind. 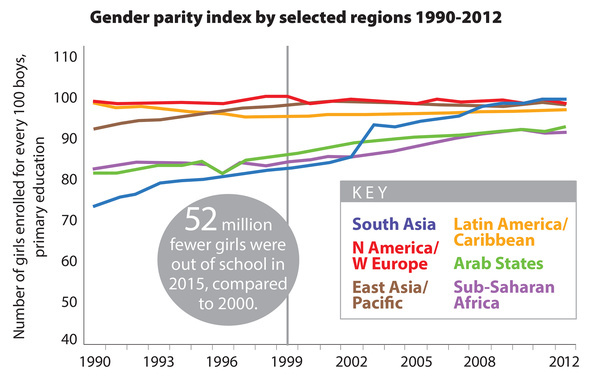 3x more women graduate than men in Caribbean countries, Northern Africa and Western Asia. 1% of indigenous students go on to receive a higher education in Mexico. The ‘Sustainable Development Goal 4’ for Education aims for 12 years universal*, quality schooling by 2030. At this rate, we will hit the target 50 years late. 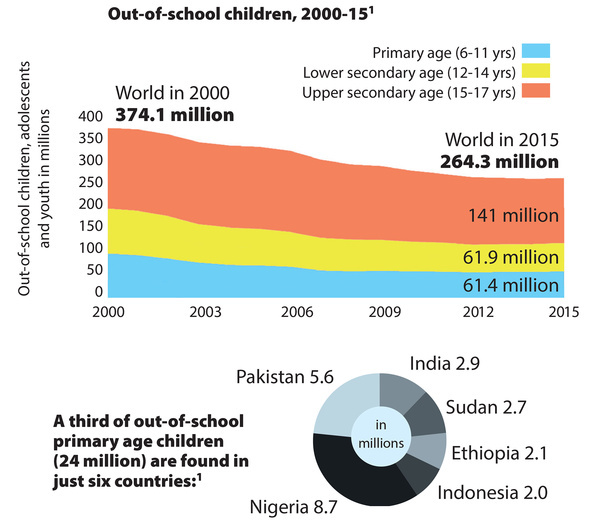 70% of children in low-income countries will complete primary school by 2030. Many governments are spending more on education. But few have prioritized learning in national budgets. Domestic spending dwarfs external assistance. 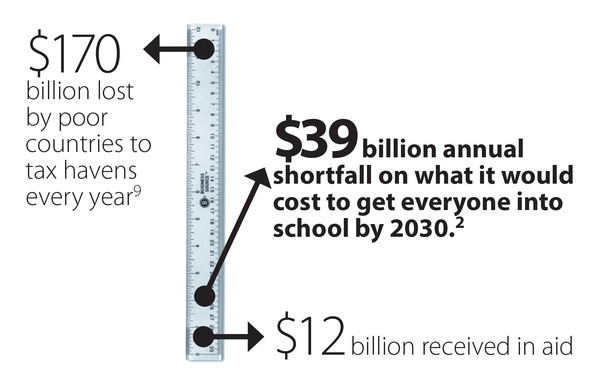 But the total amounts fall short of what is needed to educate the world’s children. 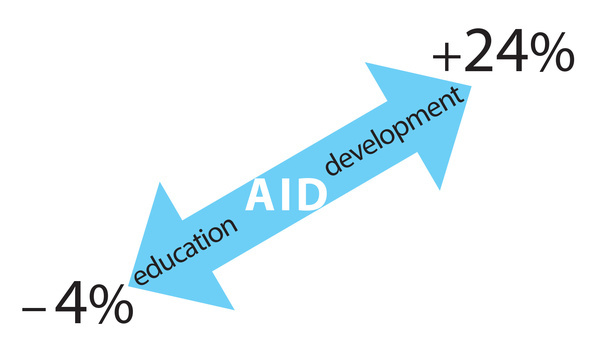 Donor spending on education is reducing as a percentage of total development aid. Aid is not going where it is needed most. 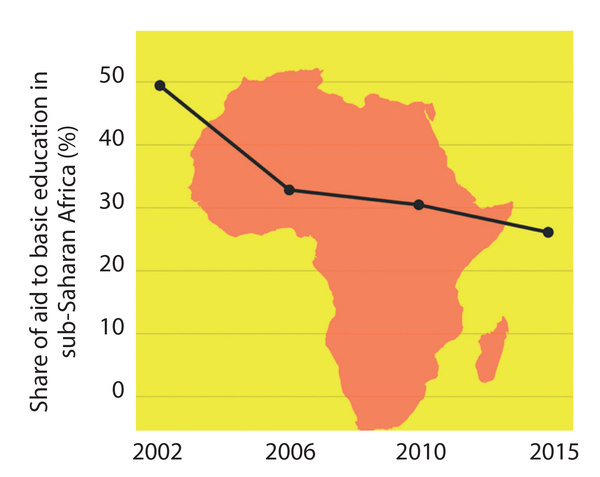 Donors are giving a similar share of aid to basic education in sub-Saharan Africa, home to over 50 per cent of the world’s out-of-school primary-age children, as North Africa and West Asia, home to just 9 per cent.